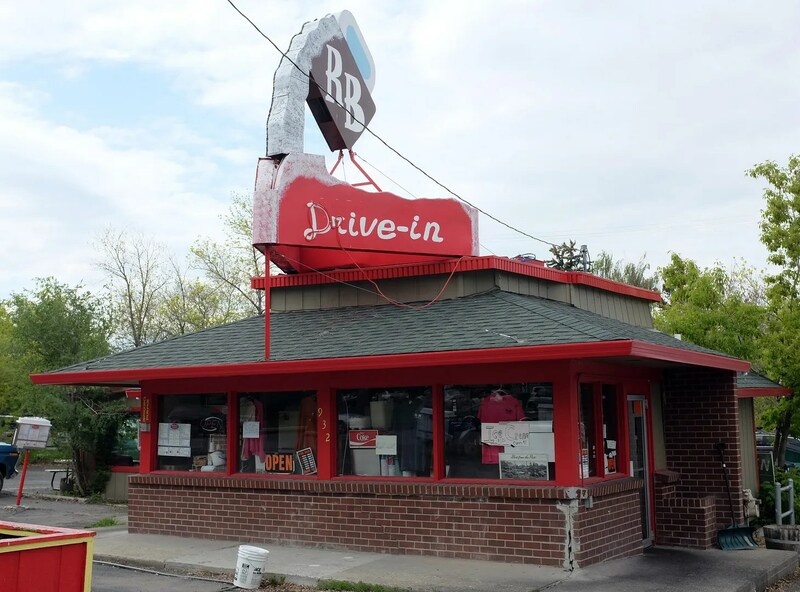 The RB Drive in opened around 1945 as the Root Beer stand. For some great historical photos of it, please see: http://www.helenahistory.org/rb_drive_in.htm. Originally the foam of the pouring root beer was trimmed in horizontal bands of neon and sat on much higher poles. It appears the building is the same one, but has seen many minor changes over the years which have entirely changed the look. Every drive in I’ve been to out here has had a different set up for ordering and getting your food delivered. Mark’s in Livingston is a walk up to order, walk up pick up and then you eat in your car. Ford’s in Great Falls had car hop ordering and delivery. Scotty’s you order inside a building and eat outside. You get the idea. 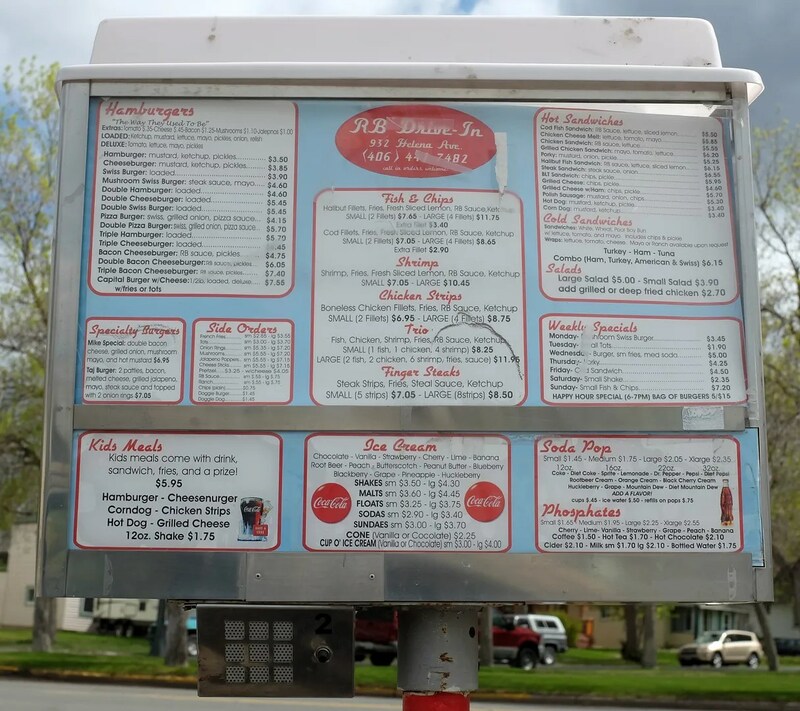 The RB still has those classic push to talk menu boards at each parking place. A large picnic pavilion has been built at the far end of the parking lot, but we ate in the car. Children’s Cheesenurger. Also interesting that they offer a wide variety of Phosphates. Not something you see much these days. 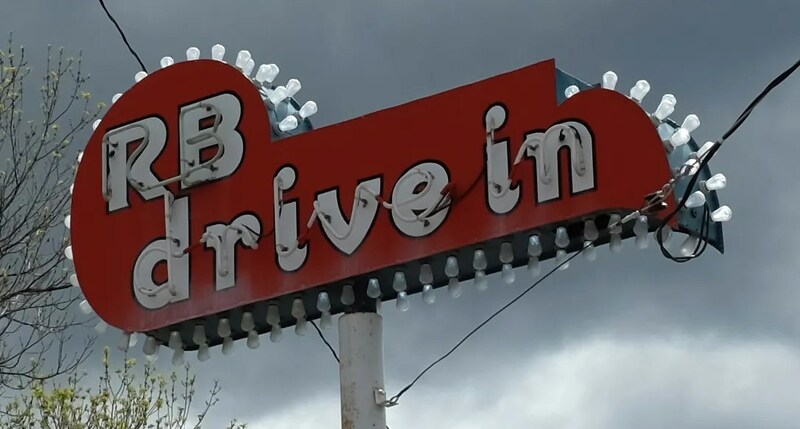 This entry was posted in Diners/ restaurants and tagged 1950s, drive in, Drive In Restaurant, Hamburgers, Helena, Montana, neon, RB Drive-In, root beer, talk box, Vintage by Spencer Stewart. Bookmark the permalink.